Soe Moe Tun’s murder was followed the next day by a roadside attack on journalist Kyaw Thura Myo. Myanmar is on the Committee to Protect Journalists list “10 Most Censored Countries” list. Reporting on the illegal logging industry in the country has exacerbated security risks in the past year. The murder of a Burmese reporter investigating illegal logging and the roadside beating of another, both in Myanmar earlier this week, have raised new fears about media safety in the country. Soe Moe Tun, a 37 year-old Burmese reporter with Daily Eleven newspaper, was found “severely beaten” to death by the side of a highway near the town of Monywa in Myanmar’s central Sagaing region on Dec. 13. Police are investigating his murder but robbery doesn’t appear to be the motive: his valuables were found at the crime scene. Kyaw Zaw Linn is editor-in-chief at Eleven Media, which owns Daily Eleven. He said in an interview with Mongabay that Soe Moe Tun was the newspaper’s only reporter based in Monywa and had never mentioned any security concerns. The Sagaing region is well known as a hub for illegal logging that operates in spite of a logging ban that’s been in effect for most of 2016. Soe Moe Tun had reported twenty stories for the outlet since January 2015 and was the father of an eight year-old boy. It’s not the first time the outlet has been targeted. “This case shows that, we journalists have to care and be careful about everything, especially our safety,” said Linn. “Last year, our CEO U Than Htut Aung was attacked on July 14 in front of our office building and now he is waiting for the defamation trial.” He added that despite the apparent risks, other reporters with the media group will continue their work. According to the Myanmar Journalist Network, Soe Moe Tun isn’t the only journalist to have been targeted by timber traffickers. In a statement, the group said Tin Zaw Oo, a journalist based in Myanmar’s Mandalay region was forced into hiding in the past two months following threats from timber traders. Illegal timber trafficking in that area has also been active, despite recent crackdowns by authorities. On Wednesday, Kyaw Thura Myo was attacked in Mandalay, just two hours east of Monywa, though it’s not clear why he was attacked. Kyaw Thura Myo has worked for a journal that focuses on agricultural and farming news called The Farmer since 2012. In a December 15 statement, the Farmer Media Group said that he was surrounded and beaten by four assailants on the roadside at about 9 p.m. while returning home by motorcycle. The motive for the attack is unknown and there is no evidence that his case is related to the attack on Soe Moe Ton. However, Eleven Media Group did quote a video he posted on Facebook noting that his publication had recently reported on the trade situation in Muse, a border region with China in Myanmar’s restive northeastern region. 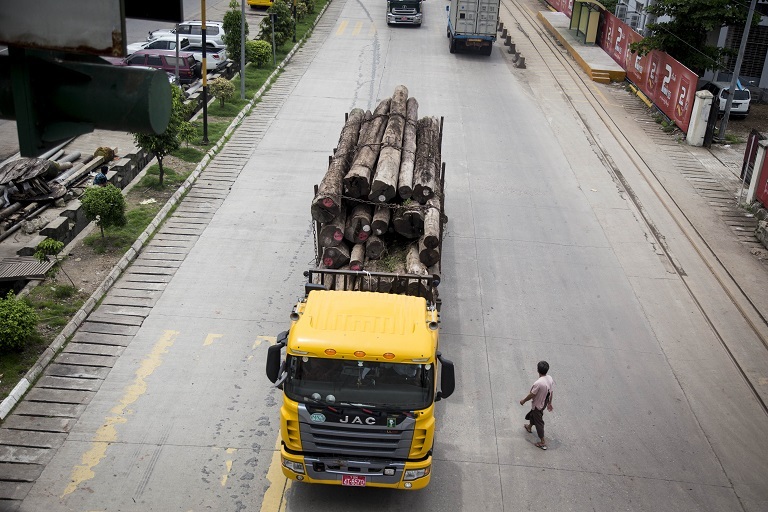 China imports hundreds of millions of dollars in illegal timber overland from Myanmar every year, according to the Environmental Investigation Agency (EIA). 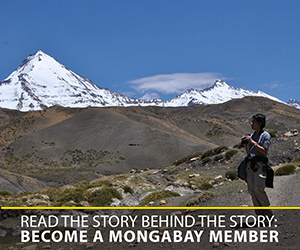 An EIA report released in 2015 details how the Chinese pay “in gold bars for the rights to log entire mountains” and rely on the corruption of local officials to pass through checkpoints. Reporting on it, however, isn’t so welcome – especially since a recent ban made the trade illegal. In one town, officials recently said the industry had been relatively open until the ban and had since been pushed underground. Now, few people want to talk for fear of being thrown in jail, and activists are extremely reluctant and afraid to go to some of the remote areas where logging takes place. Some of the people involved could be dangerous, they said, and many are on drugs. Corruption has helped logging to continue in many places and officials sought to play down how much they knew about the trade, for fear of being accused of involvement. The situation is so complex that reporting on it is difficult work that requires experienced reporters, institutional knowledge and support from outlets, and at least basic safety training. Yet Myanmar is a place where even the concept of freedom of the press is very new: the country came under a quasi-civilian government in 2011 after decades of military rule. It takes ninth place on the Committee to Protect Journalist’s “10 Most Censored Countries” list. Several laws meant to protect the media were only recently instituted. In 2014 the Printing and Publishing Enterprise Law (PPEL) was adopted, which officially abolished prior censorship and made a path for the editorial independence of newspapers from the state. The Broadcasting Law of 2015 made way for private, public and community media to flourish. It was late 2015 when the Myanmar News Media Council was established. A first-ever assessment of its kind by UNESCO and press freedom NGO International Media Support found in a report released in June 2016 that there is a “skills deficit” among reporters employed by the proliferation of new media publishers. The assessment took 18 months and looked at 50 key indicators in Myanmar’s media landscape. Zaw Htike, a trainer at Myanmar Journalism Institute (MJI), said that of Myanmar’s roughly 4,000 journalists, only about one-third have had any type of safety training for reporting. 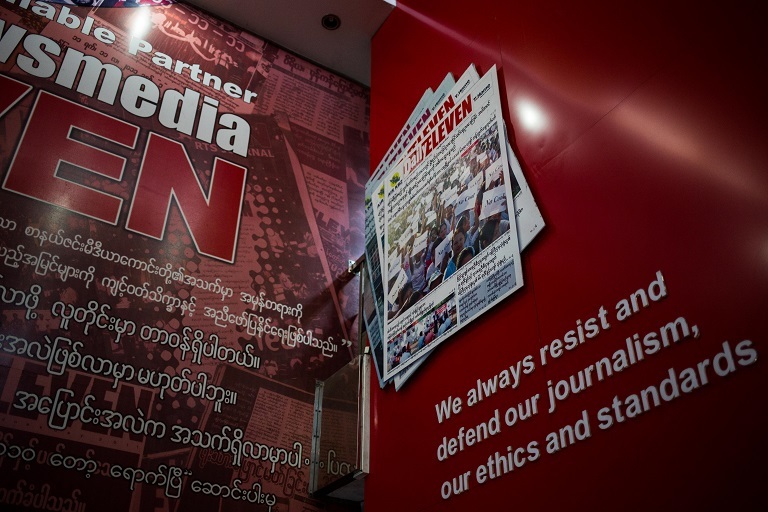 MJI is the first private and independent journalism school in Myanmar and gives courses on basic journalism training, election coverage, business reporting, environmental reporting, and investigative reporting.They have trained hundreds of students. Despite their work, Htike said many reporters are still very new to the industry, and may not understand basic safety protocols. Add to that a boom in competition and pressure to get the story. Since the government allowed the publication of daily newspapers in 2013, the number of journalists has doubled, according to Htike. Some safety protocols just come down to keeping a low profile. 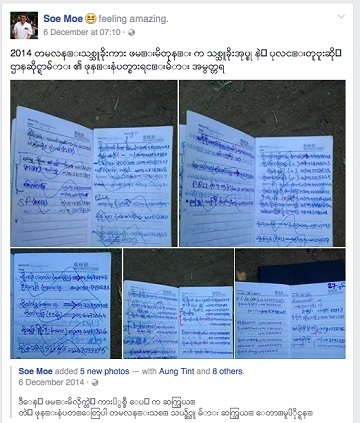 In Soe Moe Tun’s case, on December 6 – less than a week before he was killed – he shared his own post on Facebook from 2014 that included photos of a notebook with the names and contact information of illegal loggers caught in 2014. The notebook also listed the names of local authorities, details about police checkpoints, and the names of the police connected with illegal loggers and their phone numbers. In a note at the top of the post he wrote “feeling amazing.” As of Thursday, the post had been shared over 600 times. Journalists are not the only ones at risk. Many governments have responded to the work of environmental defenders and environmental NGOs by increasing restrictions, including revoking charity status, increasing sentences for protestors, and passing legislation restricting NGO activity. According to Htike, journalists working in Myanmar need to be particularly aware of the big picture.